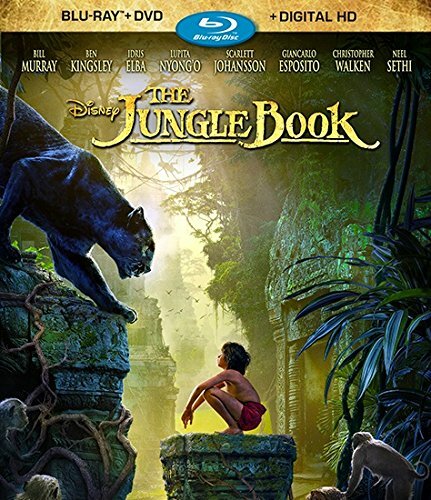 From Disney animation comes the live action film, The Jungle Book, based on the classic books by Rudyard Kipling. A contemporary reboot of the beloved 1967 film, it captures your attention from the opening scene and holds through to the very end. 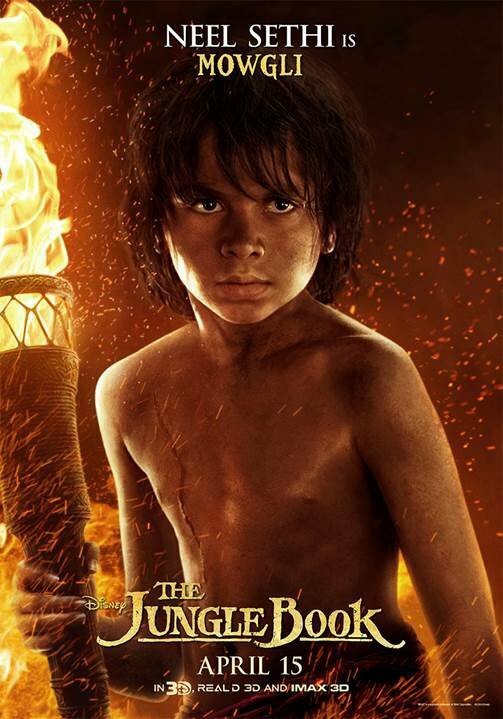 Its stellar voice talent cast supports newcomer, young Neel Sethi who plays Mowgli. The story follows the man-cub Mowgli who flees the jungle after a threat from the tiger Shere Khan. Guided by Bagheera the panther and the bear Baloo, Mowgli embarks on a journey of self-discovery. KIDS FIRST! Film Critic Ryan R. comments, “What I like most about this movie is the 3D animation and the voice acting. The animals look so realistic and the sets look amazing as well with very detailed backgrounds. 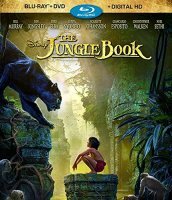 What I liked about the bonus features on the Blu-ray disc is a feature called, The Jungle Book Reimagined which shows ideas for the remake of The Jungle Book and Neel Sethi’s experience while acting on the set.” Willie J. adds, “Having now see three versions of the Rudyard Kipling classic, I can honestly say that Jon Favreau’s 2016 adaptation reigns supreme. I know that may come as a far-fetched opinion for the faithful fans of the 1967 animated classic, but open your mind to the possibility that this version is above the rest.” Tre’ana H. wraps it up with, “ Director, Jon Favreau’s fantastic adaptation of the story and his devotion to the animals cherish exceeded my expectations. The special effects and 3D portrayal of all the animals are breathtakingly awesome.” See their full reviews below. I enjoyed watching the Blu-ray/DVD combo of The Jungle Book about Mowgli (Neel Sethi) who is the only man cub in the jungle. He wants to be a wolf, but in reality he’s not. He is raised by wolves and he feels he has a nice life. Then one day Shere Khan (Idris Elba) threatens Mowgli’s life. While the wolves argue about whether or not Mowgli should leave for the safety of the pack, Mowgli decides for them and leaves. He ventures out to find the man village. On his way to the man village, he meets many enemies and friends like King Louie (Christopher Walken), Kaa (Scarlett Johansson) and Baloo (Bill Murray). What will happen next? Will he make it to the man village? Does Shere Khan catch him? You just have to watch the movie to find out. What I liked about the bonus features on the Blu-ray disc is a feature called, The Jungle Book Reimagined which shows ideas for the remake of The Jungle Book and Neel Sethi’s experience while acting on the set. This shows the relationship between Neel and the director. There is also a bonus audio commentary feature from the director, Jon Favreau, which is great because you get to hear what he was thinking when making the movie. Another added bonus allows you to go to the scene selection and select the scene you want, plus there is a setup feature so you can insert your own settings. There is also a DVD version included and a download code to download a digital copy if you would prefer to use that versus the discs. What I like about this movie are the CGIs which are so realistic that you think the sets are real because they are so incredibly detailed. The animals look realistic as well and the backgrounds are very intricate. But, as I learned in the Blu-ray feature “I am Mowgli”, it shows that it was all done on green screen, which makes this film more incredible because most of it isn’t real! The voice acting is superb. Idris Elba, Scarlett Johansson, Bill Murray, Christopher Walken and many others truly bring the animals to life with their outstanding voice over work. Speaking about Christopher Walken, another bonus feature is “King Louie’s Temple Layer by Layer”. It shows you how the “I Wan’na Be Like You” scene was created. It is very interesting to watch how the orchestra, Christopher Walken, the storyboard and green screens worked together to make that sequence. Finally, the music is superb and adds so much more energy and excitement to the movie. It just makes the scenes more interesting than they would be without such compelling music. What you should know about this film is that there are many intense scenes. Even I jumped out of my seat a few times. This isn’t a movie for children below age 9 and is definitely a “know your kid” type of movie. I also didn’t like how King Louie doesn’t look as friendly as in the original movie. Aside from that, this movie is truly outstanding entertainment. I recommend this film to kids ages 9 to 18. People who like action, adventure and comedy movies will surely enjoy this. It does have intense scenes and will make you jump but I give it 4 out of 5 stars and love all the bonus features on the DVD/Blu-ray/Digital HD which is available August 30, 2016. After analyzing this film, I really appreciated it because it is family oriented and explores the relationship of a young man. This film made me wonder if something happened to my parents who would take care of me. I love the fact that the animated jungle animals look so real and talk like human beings. This film blends adventure, drama, fantasy and family in an entertaining story. I enjoyed this film because of the way it takes a classic story and turns it into something amazing. Director Jon Favreau’s fantastic adaptation of the story and his devotion to the animals cherish exceeded my expectations. The special effects and 3D portrayal of all the animals are breathtakingly awesome. The story follows the man-cub Mowgli (Neel Sethi) who departs the jungle after a threat from the tiger, Shere Khan (Idris Elba). The panther Bagheera (Ben Kingsley) serves as his protector and keeps him out of harms way until Baloo the Bear (Bill Murray) comes on board and joins the team. Mowgli embarks on a journey of self-discovery and meets creatures along the way who don’t have his best interests at heart. The film shows his innocence and you have to respect and honor him. I loved the scene when Baloo the Bear and Mowgli go to the lake with Mowgli sitting on Baloo’s stomach as they float down the river. I really adored this moment because it is hilarious and it reminded me of a special time I spent with my friends in the pool. A bond is formed that you knew could not be broken. The message of this film is do not ever hold a grudge against someone because of something that happened in the past. Try to make amends because life is too short and precious. Live each moment to the fullest. That is what Mowgli realizes and does. You should always give someone a chance to fit in. I recommend this film for ages 7 to 18 because they will definitely be entertained. I give it 5 out of 5 Stars because it is child friendly, hilarious, exciting and enjoyable it even though some terrifying moments exist. This movie opens in theaters Friday, April 15, 2016 so go check it out, you will not be disappointed. Having now see three versions of the Rudyard Kipling classic, I can honestly say that Jo n Favreau’s 2016 adaptation reigns supreme. I know that may come as a far-fetched opinion for the faithful fans of the 1967 animated classic, but open your mind to the possibility that this version is above the rest. The darker, more realistic tone of this live-action adventure is a sharp contrast to the lighter tone of the 1967 musical comedy. That may be off-putting to some fans, but once you’re swept up in the visual splendor of the movie, the story becomes ever more engaging. Speaking of which, don’t be surprised if a few elements of the 1967 version’s story aren’t in this one or are rearranged. Jon Favreu gives the story the proper grandeur it deserves. He uses lush art direction and sweeping cinematography to make the story look bigger. Visual effects aside, the aesthetic of the film gets across the monumental stature a family adventure should have. Combine the visuals with the score of John Debney and you’ll find beauty and thrills that bring back a child like wonder. One thing I really appreciate is the way the film treats the animals as characters, not denying them close-ups or treating them as spectacles. They are instead, portrayed as natural beings within the world of the screenplay. It enhances the brilliant voice acting of the cast. Speaking of which, I hope this film can rekindle the campaign to get voice acting a category with the major awards. Idris Elba is perfectly evil. Ben Kingsley and Bill Murray provide such natural and fitting voice work. And, Scarlett Johansson and Christopher Walken steal the show. Their scenes are the highlights of the movie and are easily the most memorable. This movie is an overall construction of perfect cinematic elements. Disney has hit a grand slam with The Jungle Book as it will be etched in the memories of audiences for decades. I say this film is one of the best films of this decade and maybe even the last ten years. With that said, I give this movie 5 out of 5 stars and recommend it for ages 8 to 18. It can be seen at a local theater near you. Suicide Squad – Great Soundtrack, Unbelievable Acting, Intriguing Storyline, Super Cast! Rounding out the summer comic-book based films comes Suicide Squad based on the DC comic. The government gives a team of super-villains – the world’s most dangerous, incarcerated super villains with next to nothing to lose, provides them with the most powerful arsenal at the government’s disposal and sends them off on a mission to defeat an enigmatic, insuperable entity. However, once they realize they weren’t picked to succeed but chosen for their patent culpability when they inevitably fail, will the Suicide Squad resolve to die trying, or decide it’s every man for himself? KIDS FIRST! Film Critic Harmony M. comments, “With the awesome soundtrack, unbelievable acting, intriguing storyline and perfect cast members, this film is one I definitely recommend seeing.” Morgan B. adds, “One of the many exhilarating things about this movie is the giant cast. There are so many characters and actors and I love that.” And, Nathaniel B. wraps it up with, “This is a very well written movie with very good special effects and it some good humor. But, it is scary and pretty violent and there are some parts that are not really appropriate for young kids. The story is fast paced and I admit that I did not understand some parts.” See their full reviews below. With the awesome soundtrack, unbelievable acting, intriguing storyline and perfect cast members, this film is one I definitely recommend seeing. The film is about an assembled team of the most dangerous villains in the world who are sent on a mission to defeat a bigger evil entity. The film’s twist on typical superhero movies really stands out as the antagonists take the spotlight for once. The squad is composed of fearless felons with nothing to lose. Their actions, hidden agendas and intentions are absolutely unpredictable. One of the best aspects of this movie is the cast and their outstanding acting. Margot Robbie’s role as Harley Quinn is jaw dropping and Jared Leto deserves lots of credit for his performance as the Joker. They played their roles so amazingly well that it was hard for me to imagine them as people outside of their roles here. Their facial expressions, from scene to scene, is unbelievable. All of the characters’ portrayals are amazing. Deadshot, played wonderfully by Will Smith, provides a comedic and emotional aspect as he tries to hold a loving relationship with his daughter throughout the main conflict. What makes the characters so memorable and the film intriguing is that each one has its own twisted story and talent. The soundtrack is awesome and the film’s use of lot of good songs made certain scen es especially memorable. Overall, this film is a fun movie and, if you go in to see it with no specific expectation or comparison with another film, I can’t imagine anyone not liking it. The idea may have been typical but the execution was superb. Sure people argue that it is just another superhero movie and make many comparisons to other superhero films, but I think the style this film has, including the acting, music, camera work and visuals puts this film above others. I recommend this film for people ages 13 to 18 and think adults will enjoy it as well, especially those who like twisted, psychotic and creepy vibes because, although I am not a fan of action movies, the psychotic and creepy feel made it really interesting for me. I give this film 4 out of 5 stars. Check it out as it is in theaters now. Red, white and blue with sparkles and she chews pink bubble gum, which sounds all American. What could go wrong? Harley Quinn (Margot Robbie) is adorable, cute, funny and deadly. The Joker’ new girlfriend is all kinds of Kray Kray and I love her. She is the heart and soul of this movie. Without her quirky, quick witted one liners it would just be a dark movie about a bunch of bad guys trying to kill another bunch of bad guy. Amanda Waller (Viola Davis) is her awesome, take control kind of girl we love. This movie has great female characters that have depth and intelligence. That has me giving it thumbs up. I enjoyed this movie and hope that it becomes a franchise that I can see for years to come. It left me wanting more movies just like this. One of the many exhilarating things about this movie is the giant cast. There are so many characters and actors and I love that. In recent years, we have seen so many movies with only a handful of people in them. This movie spared nothing – big cast, action, drama, scares, comedy and graphics. This is the kind of movie we love to see on the big screen. The graphics are top notch. The stunt work is impressive. Harley Quinn has some great aerial acrobatics. Swan drives take a lot of trust and she pulled it all off with style. Deadshot (Will Smith) gives his best performance in years. I certainly would not want to be on the other end of his firepower. Not much scares me, but The Joker (Jared Leto) is frightening. Jared Leto is usually unique and quirky and funny but he goes all out to the other side and is terrifyingly crazy. He transforms into something night mares are made of and his acting is too creepy for words. The concept of this movie is fabulous. Everyone deserves a second chance, right? The idea of microchipping Super villains with bombs like my dog so I can find him if he gets lost is a good idea. Villains fighting other villains makes sense. They think alike. It gives the villains a chance to see that there is another way. They can fight for good instead of evil. The Enchantress /June Moone (Cara Delevingne) is a big surprise. The one thing I wish they added is more of a back story for her and her brother. Depending on kind of movies your kids like, if they like being scared to death and can follow a complicated story line, then you are good to go and see this. It is not a cute kid’s movie. I recommend for ages 13 to 18. I give this film 5 out of 5 sledge hammers with red, white and blue sparkling stares. It is different, fun and scary all in one movie. This is a very well written movie with very good special effects and it some good humor. But, it is scary and pretty violent and there are some parts that are not really appropriate for young kids. The story is fast paced and I admit that I did not understand some parts. Overall though, it was great and funny. The film starts as Amanda Waller (Viola Davis) shows someone a file about multiple villains: Deadshot (the amazing Will Smith), Harley Quinn (Margot Robbie), Captain Boomerang (Jai Courtney ), Diablo (Jay Hernandez ), Killer Croc (Adewale Akinnuoye-Agbaje) and last, but definitely not least, June Moone/Enchantress (Cara Delevingne). As she describes each villain you see clips of how each of them ended up in prison. In June’s case, you learn how she became the Enchantress. June Moone is a human who finds a little statue in an old tomb. It opens and the Enchantress possesses her. She switches between being June and the Enchantress. June falls in love with a soldier, Rick Flag (Joel Kinnaman) and Amanda Waller gets the Enchantress’/June’s heart. Amanda has the Enchantress’ heart and June has Rick’s, so Amanda has Rick in her control. Rick Flag gathers up The Suicide Squad, plants a bomb in each of their necks and tells them if they disobey they die. They all put on their costumes and get their weapons. They are joined by the Enchantress and Katana (Karen Fukuyama) and are ready to be bad guys fighting even worse guys.I love the costumes, makeup and special effects used to make the characters look not exactly like their comic counterparts, but still extremely awesome. For example, I love Killer Croc’s costume, makeup and special effects. I love that he looks nothing like the person who plays him. Another example is the Enchantress whose special effects may be my favorite of this film. It looks like there is a shroud of death around her. Even though it is scary, it is also very cool. The cinematography is also great. It stays focused on the characters while they fight and run around. It is outstandingly clear and you can see everything. I give this movie 4 out of 5 stars for its great effects, costumes and storyline, not 5 because it is scary and a bit too fast paced. I recommend this for ages 12 to 18 unless, of course, you think you can handle the violence. 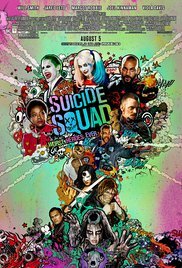 Posted in Feature Film Reviews | Comments Off on Suicide Squad – Great Soundtrack, Unbelievable Acting, Intriguing Storyline, Super Cast! From Air Bud Entertainment comes the new film Pup Star about an adorable Yorkshire terrier competing in a televised singing competition who is separated from her owner by an opportunist dog pound worker and goes on a huge adventure to get back. KIDS FIRST! Film Critic Gerry O. comments, “To make a perfect family-friendly adventure film is a difficult task to achieve. You have to make it both entertaining and kid-friendly while including a positive, preferably inspirational messages. Pup Star, the latest installment in the Air Bud series, succeeds in this goal with assistance of wonderful music and fantastic acting.” Abigail Zoe L. adds, “Pup Star is a fun, fantastic, family-friendly film! It really is an amazing and inspiring movie with talking and singing dogs. I found myself cheering for the super talented Tiny and booing the bad guys, or should I say bad dogs!” See their full reviews below. PUP STAR will release in select US theaters and Digital HD exclusively on Fandango’s premium on-demand video service, FandangoNOW (www.FandangoNOW.com) – August 30, 2016. To make a perfect family-friendly adventure film is a difficult task to achieve. You have to make it both entertaining and kid-friendly while including a positive, preferably inspirational message. Pup Star, the latest installment in the Air Bud series, succeeds in this goal with assistance of wonderful music and fantastic acting. The adventurous feel of the movie appeals to the audience. This film has more than that to offer though with its comedy, positive messages and a slight bit of drama. There is even some romance to keep the viewer entertained and at the edge of their seat. The story starts when a young puppy named Tiny goes on a dog singing show and does quite well. She receives a golden ticket from the judge which allows her to go straight to the finals. Everything changes when Tiny gets captured by animal control and must go on a huge adventure to get back to her owner and also to the competition finals. Pup Star has a wonderful story line and great acting by Tom Everett Scott, Kaitlyn Maher and Jed Rees. The voice over cast for the animals matches their characters and feels quite authentic. They each make their characters truly come to life. But, the best part of this film is that the story which is entertaining, suitable for young kids and easy to follow. My favorite scene is when we first meet Tiny. She gets on stage and starts singing. Her song is beautiful and serves to introduce the style and the feel of the film. I also love this scene because, although the talking dogs are animated, it looks very realistic, as if the dogs are actually talking. Pup Star would appeal to families and younger kids. I recommend it for kids ages 4 to 13 and rate it 5 out of 5 stars for its excellent acting that truly makes the characters come alive, its realistic animation, beautiful music and its fantastic story. The adventurous feel of the movie appeals to the audience. This film has more than t hat to offer though with its comedy, positive messages and a slight bit of drama. There is even some romance to keep the viewer entertained and at the edge of their seat . The story starts when a young puppy named Tiny goes on a dog singing show and does quite well. She receives a golden ticket from the judge which allows her to go straight to the finals. Everything changes when Tiny gets captured by animal control and must go on a huge adventure to get back to her owner and also to the competition finals. Pup Star has a wonderful story line and great acting by Tom Everett Scott, Kaitlyn Maher a nd Jed Rees. The voice over cast for the animals matches their characters and feels quite authentic. They each make their characters truly come to life. But, the best part of this film is that the story which is entertaining, suitable for young kids and easy to follow. Pup Star is a fun, fantastic, family-friendly film! It really is an amazing and inspiring movie with talking and singing dogs. I found myself cheering for the super talented Tiny and booing the bad guys, or should I say bad dogs! The story is about Tiny, an adorable Yorkie pup who dreams of becoming the next Pup Star, which is a spinoff of the popular TV singing competition reality shows. The celebrity judges include Dog Gnarly, Blake Sheltie, Lady Paw Paw and of course, Simone Growl. Along Tiny’s journey, she is dog napped, meets colorful companions and becomes a more inspi red singer with the help of Charlie, who is on his own journey. Tiny is encouraged by everyone she meets to keep going and not give up on her dreams. My favorite part is when Tiny sings. Kaitlyn Maher’s voice over and singing of Tiny is outstanding and all 13 original songs are so strong melodically that I found myself humming along to the song Blue Skies after watching it. Additionally, the various voice over and singing talents for all the other dogs are equally impressive. The message of this film is never give up and follow your dreams. Tiny faces many challenges and tries her hardest to persevere and reconnect with her loving family. The talking and singing dogs are created with amazing special effects. Their mouths m ove in perfect harmony with the words and lyrics. Also, I love the rich and emotional music composed by Brahm Wenger which draws you in from the get go. I recently had the privilege to interview the writer and producer of Pup Star, Anna McRoberts and she mentioned that this is the biggest cast of talking and singing dogs ever in one movie – 31 total. Bow Wow!!! Out of all the Air Bud Entertainment movies, this is my favorite. We can all relate to following our dreams no matter what they are and cheering for the underdog. I recommend this film to kids age 5 to 18 as well as anyone who loves dogs – kids and adults alike. With so many wonderful things to love about this family friendly film movie, I give it 5 out of 5 pup stars! I want to share one more thing: throughout this entire film, I actually forgot that dogs don’t really talk… or do they? This epic story follows Judah Ben-Hur (Jack Huston), a prince falsely accused of treason by his adopted brother, an officer in the Roman army. After years at sea, Judah returns to his homeland to seek revenge, but finds redemption. KIDS FIRST! Film Critic Gerry O. comments, “The famous story of Ben-Hur has been done in film multiple times throughout the years, but none has reached this level of excitement and beautiful special effects. And none has ever been this action packed and intense.” Ryan R. adds, “Although it is two hours long, it does not drag. Morgan Freeman gives a very regal performance as Ilderim. His voice makes you want to pay attention when he narrates the story. I love this character because he helps Judah and they make a fantastic team!” See their full reviews below. The famous story of Ben-Hur has been done in film multiple times throughout the years, but none has reached this level of excitement and beautiful special effects. And none has ever been this action packed and intense. 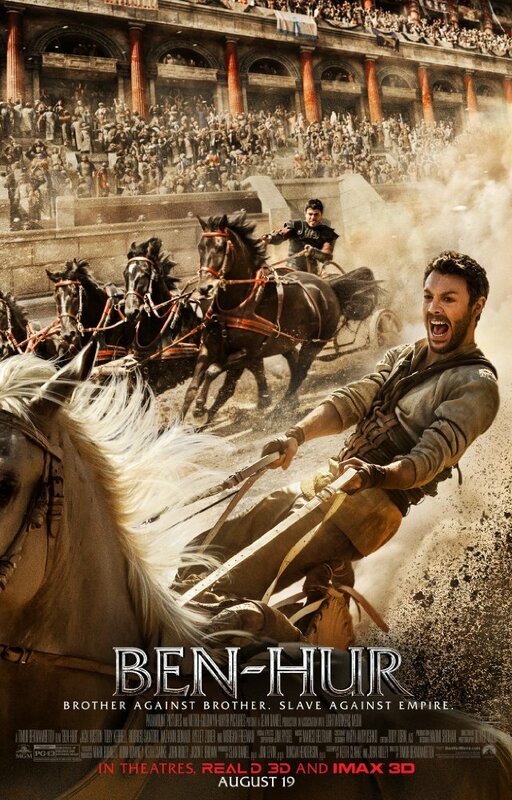 Ben-Hur will certainly appeal to action genre fans, but it has so much more to offer. Along with multiple dangerous adventures comes strong love story, drama and history, which keeps you excited but surprised by events that unfold in front of your eyes. The film starts when Prince Judah Ben-Hur (Jack Huston) is accused of attempting to assassinate a Roman Leader. His adopted brother convinces him and his family about the worst punishments available. His family meets a mysterious fate that leaves him guessing about them for years. Judah is sentenced to life as a galley slave (a person that rows Roman ships). He barely survives this terrible punishment for six years before escaping. Back on land, he trains to take revenge on his brother in a place with no law – the dangerous, yet exciting sport of chariot racing! Although the plot seems confusing, it actually is easy to follow. Towards the beginning it may be a bit confusing, but by ten minutes into the film pieces snap into place. This film not only packs a lot of action, but it is also very historical and truly makes it look as if we are watching these scenes take place in ancient Rome and Jerusalem from the boats, to warfare, to their attire. Throughout the film, I felt transported back 2000 years to the large Roman Empire. Most of the special effects portray the chariot racing and the outcome is nothing short of spectacular, detailed and very realistic. It is exciting and intense, but also easy to follow. The acting in this film exceeded my expectations with many known actors such as Jack Huston and Morgan Freeman (Ilderim), but the entire cast delivers spectacular performances and really make their characters come to life and shine, as well as make the viewer think they actually are seeing life 2000 years ago. My favorite scene is the galley slave scenes. In a way, these are also my least favorite scenes because it shows how terrible Romans treated these slaves. In one scene, you see Judah changing over the six years from a handsome and healthy prince to a depressed, skinny and beaten slave. Another factor of these scenes that impressed me were the visual effects. Judah escapes when the ship sinks in a battle. The scene is very dramatic, scary and intense. It is full of action and everything from soundtrack to acting makes it a heart-thumping moment. Ben-Hur is intense with many adult references, but the mature aspect that concerns me most is the gore. Since this takes place in Ancient Rome, there are many violent acts that are unsuitable for young children. I recommend it for ages 14 to 18 and give it 4.5 out of 5 stars. The acting, special effects and soundtrack are all fantastic but the story is slightly confusing at the beginning which makes it a bit annoying for the viewer. My favorite scene is the galley slave scenes. In a way, these are also my least favorite scenes because i t shows how terrible Romans treated these slaves. In one scene, you see Judah changing over the six years from a handsome and healthy prince to a depressed, skinny and beaten slave. Another factor of these scenes that impressed me were the visual effects. Judah escapes when the ship sinks in a battle. The scene is very dramatic, scary and intense. It is full of action and everything from soundtrack to acting makes it a heart-thumping moment. I did not exactly love the 2016 remake of the 1959 movie Ben-Hur, but I didn’t hate it either. This film takes place around 26 A.D. when Judah Ben-Hur (Jack Huston) appears as the wealthy Jerusalem prince who is falsely accused of treason and is stripped of everything that he has and taken away. Judah’s adopted brother, Messala Severus (Toby Kebbell) betrays him and allows the Romans to make Judah a galley slave for five years. Judah escapes, returns home and seeks revenge. The question is: will Judah get his revenge? Although it is two hours long, it does not drag. Morgan Freeman gives a very regal performance as Ilderim. His voice makes you want to pay attention when he narrates the story. I love this character because he helps Judah and they make a fantastic team! I think Jack Huston should have been cast as Jesus because his demeanor is very soft and peaceful. He doesn’t project the strong, angry character that he should have as Judah Ben-Hur. Rodrigo Santoro, who plays the role of Jesus should have played Judah Ben-Hur. Don’t get me wrong, I love how Rodrigo Santoro portrays Jesus. His performance is stellar. But the way he looks and carries himself would have made Rodrigo a more believable Judah. Toby Kebbell’s Messala is the one casting that they got right. He acts and looks mean enough to make you to dislike him. The setting looks epic and visually appealing. The battle scene with the ships in the water is pretty intense but entertaining. However, some scenes are boring and a few scenes didn’t need to be there. The chariot race is a bit sloppy and roughly edited. I give this film 3 out of 5 stars and recommend it to kids ages 11 to 18. Younger kids might not understand what is going on and may be frightened by a few intense and grotesque scenes. There is also some bloody and gory violence. I also recommend this to adults who like action, adventure, remakes and Biblical films. This film opens Friday, August 19 so, put it on your radar screen. 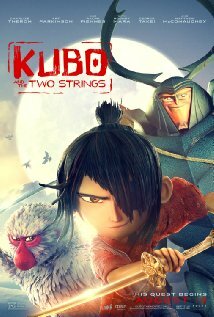 Kubo and the Two Strings – One of the Best Films of the Year! LAIKA has done it again! This stop motion animation film follows the life of Kubo who lives a quiet, normal life in a small shoreside village until a spirit from the past turns his life upside down by re-igniting an age-old vendetta. This causes all sorts of havoc as gods and monsters chase Kubo who, in order to survive, must locate a magical suit of armor once worn by his late father, a legendary Samurai warrior. KIDS FIRST! Film Critic Morgan B. comments, “I loved this movie. It is original, beautiful to watch and has heart and soul. The quirkiness of this movie only adds to its lovability.” See her full review below. I love this movie. It is original, beautiful to watch and has heart and soul. The quirkiness of this movie only adds to its lovability. It is hard to find an original movie and using origami as the base of this movie is simply genius. Kubo’s grandfather has stolen his eye and now is after the other and he will do whatever he has to, to get the other eye. His two aunts are frighten witches. His mother has lost all her memories and many dangers await Kubo and his only helpers are a monkey and a silly half man, half beetle and an endless supply of paper. I know this all sounds totally crazy, but it all works together quite nicely to make this incredible movie. I struggled once trying to make an origami swan so I appreciate the origami in this film which has a mind of its own. Kubo plays a two-stringed instrument which transforms simple paper into magnificent, magical shapes and forms. The voice-overs in this film are stupendous and really bring it to life. My favorite character is Kubo (Art Parkinson) who is just so adorable yet strong, independent and goodhearted. My other favorite is Monkey (Charlize Theron) who is brave, funny, clever and very stubborn. I love her character because of all these traits. Even though she is tough, she has a kind, sweet side that she shows how much she loves her son. There is also the beetle (Matthew McConaughey) who is hysterical, dangerous and a straight shooter or, at least according to him he is. I love his character becau se its funny and had me belly laughing. His affection for Monkey is adorable. Of course, there are villains of this film. The sisters, both played by Rooney Mara portrays them as crazy, wacko witches and her voice is perfectly scary. The other villain, The Moon King (Ralph Fiennes) is the weird Grandfather who wants Kubo’s other eye and he is super creepy. One of my favorite scenes is when Kubo, Monkey and Beetle are trying to defeat a giant skeleton and find the sword of unbreakablity. It is adventurous and funny. The graphics are incredible, especially the way they created the skeleton. This is the biggest clay animation character ever made. I thought this action scene was intricate and believable. I recommend this film for ages 7 to 18. Adults will like it too. I do want to suggest that if your child is younger than 7, they might get scared with the darkness and the villains, but if they can accept that it is all fake then they will be okay. I rate this film 5 out of 5 magical origami stars. Posted in Feature Film Reviews | Comments Off on Kubo and the Two Strings – One of the Best Films of the Year! You are currently browsing the KIDS FIRST! News weblog archives for August, 2016.